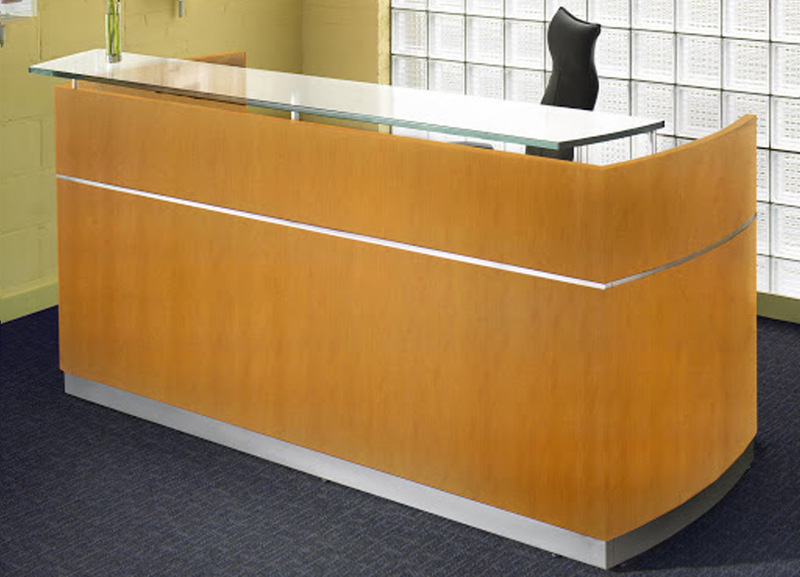 This wood reception area furniture from Mayline features a center drawer with a solid wood frame and leather inlays and is beveled front edge to match desk surface design. 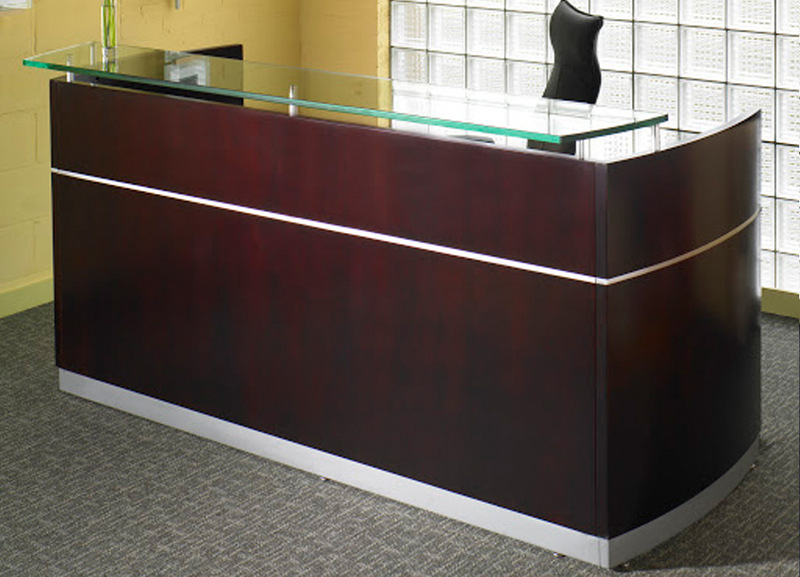 Napoli wood reception area furniture combines hand-crafted veneers with a contemporary look, finished off with a frosted glass reception counter. 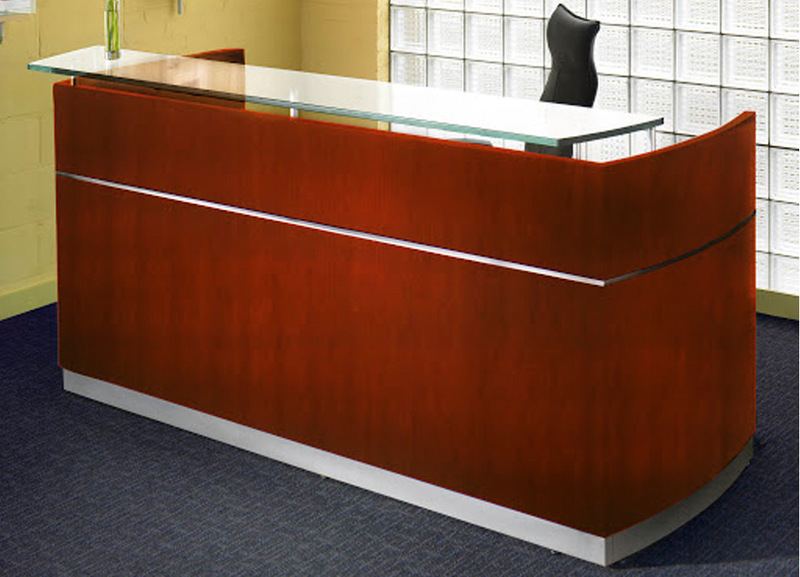 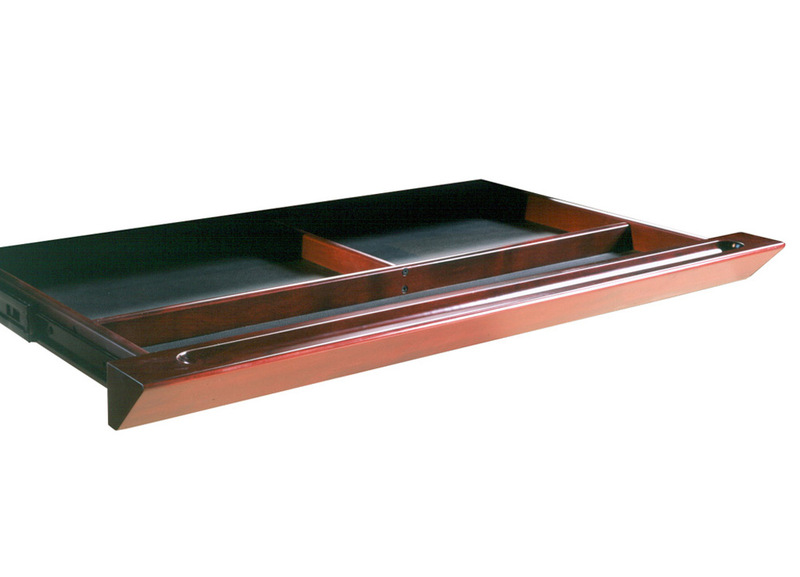 These pieces are finished with a 14-step process to insure uncompromised quality in the wood. 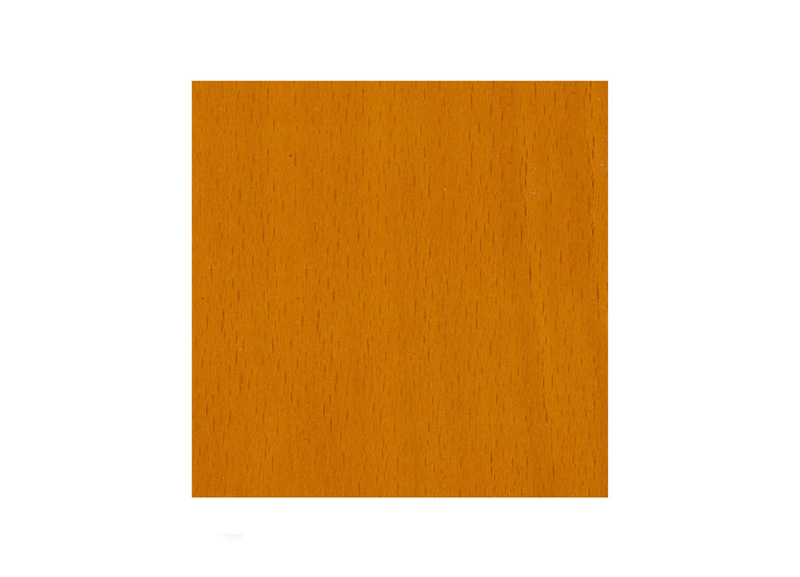 Special Features:AA-grade select North American hardwood veneers. 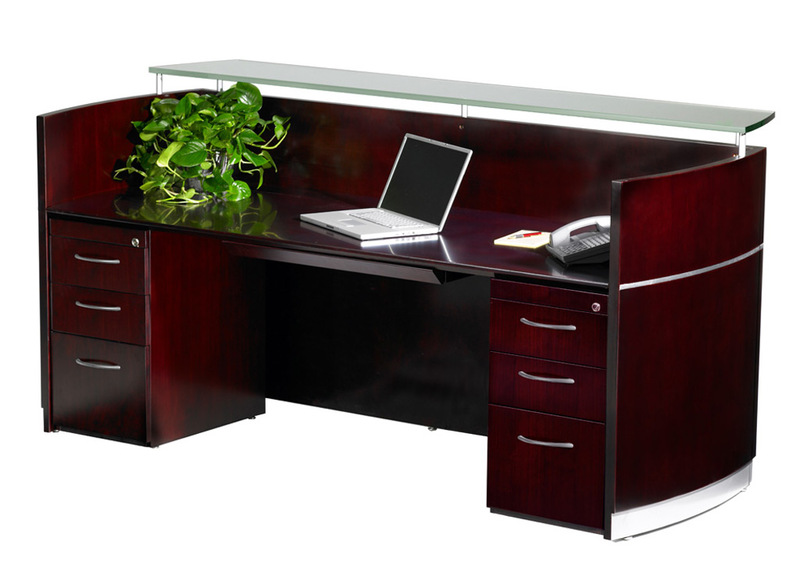 Unique curved desk pieces, floating tops, and metal and glass accents give a European appearance.